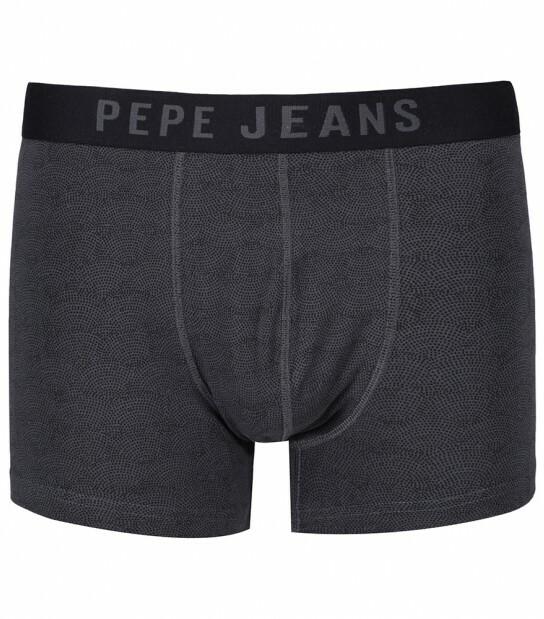 Simple yet stylish, our Enzo boxer trunks from Pepe Jeans are proof that black boxers dont always have to boring. 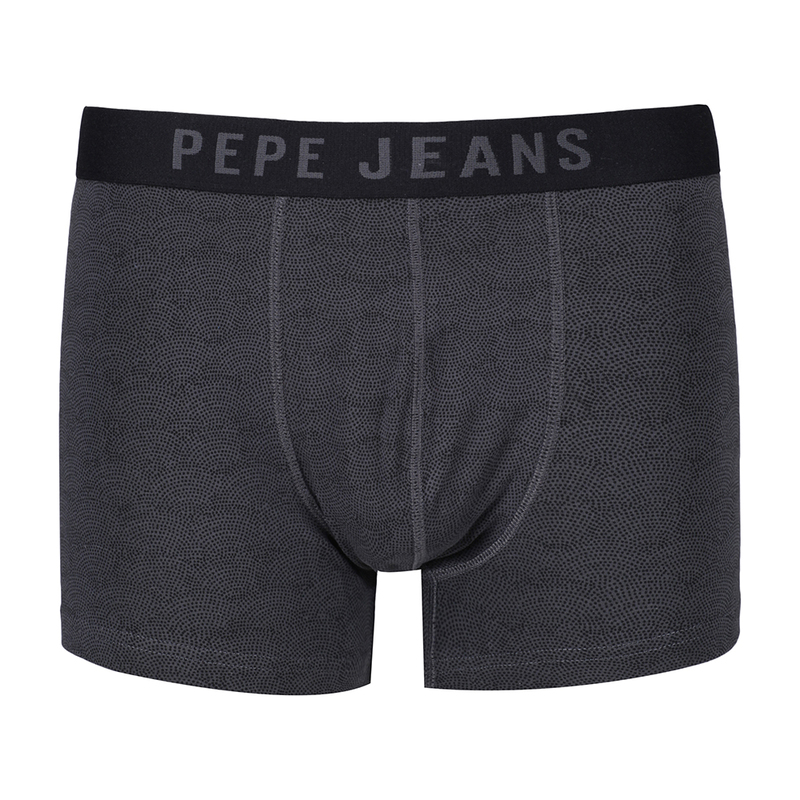 Presented in a 2 pack set which includes a Coal Grey/Black Print pair of boxers with a contrasting Black waistband with Grey Pepe Jeans branding and a Black Plain pair of boxers with a contrasting Coal Grey waistband with Black Pepe Jeans branding. 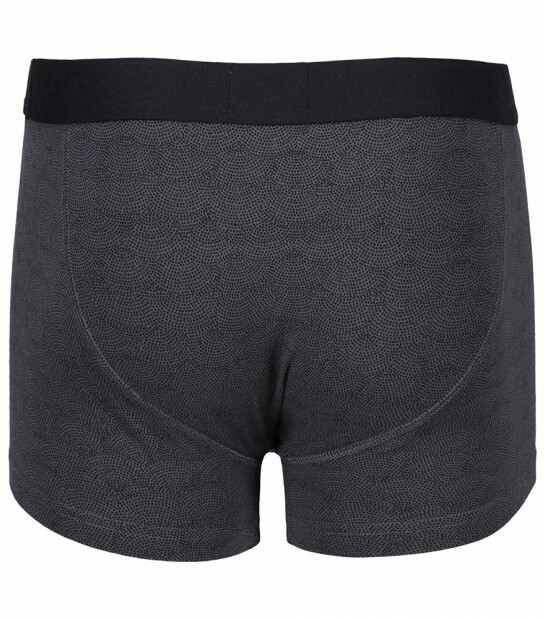 Made from soft cotton/elastane fabric, these boxers are sure to provide a comfortable and snug feeling all day long.